Charades is a popular party game where guests act out well-known phrases, movie, television or song titles, or famous quotes without speaking. It can be played to pass time at a baby shower while the mother-to-be opens her presents, for example. When choosing baby-related charades, select phrases that are not too obscure to ensure that it can be acted out easily and that the other guests can guess it. Mix and match ideas from several different genres to make the game fun. Choose topics that relate to pregnancy, babies and toddlers. For instance: swollen feet, nine months, obstetrician, childbirth, newborn, crib, bottles, feeding, crying, sleep deprivation, teething, colic, twins, triplets, toddler, teething and burping. Throw in a few movie titles that have the word "baby" in them. These can be a little bit harder to act out, but it will balance out the easier ones you've selected. Be sure to indicate that it is a movie title to get the audience thinking on the right track. Some popular movies with "baby" in the title are: "Three Men and a Baby," "Baby Boom," "She's Having My Baby," "Bringing Up Baby," and "Million Dollar Baby." There are hundreds of songs that have the word "baby" in the title; choose only those that can be easily acted out. A few well-known songs you might want to include are "Be My Baby," "Take Good Care of My Baby," "Ice, Ice, Baby," "Baby, Come to Me," "Having My Baby," "Santa Baby" and "Baby Don't Forget My Number." Consider relaxing the rules of charades to allow the actor to hum these tunes. 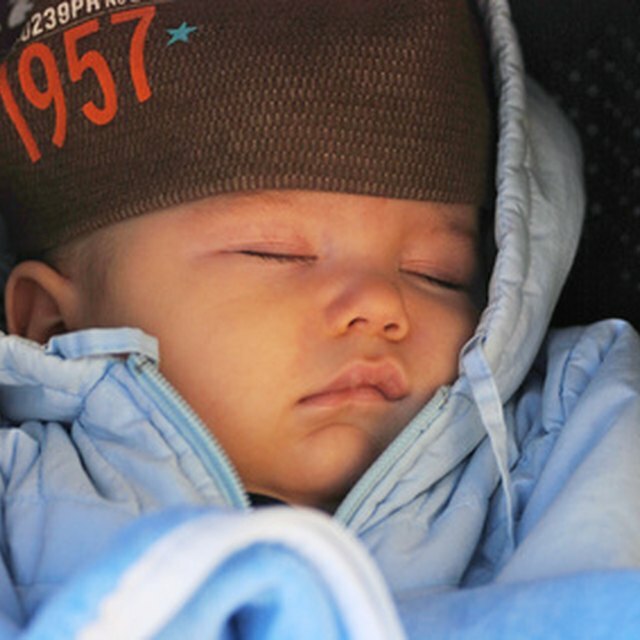 Choose a few popular sayings about babies, or that have "baby" in the title. "Nobody puts baby in the corner," "Sleeps like a baby," "Cries like a baby," "Cry baby," "Baby face," "Baby steps," "Baby mama," "Rock-a-bye baby" and "Throwing the baby out with the bath water " are a few well-known phrases that can be acted out.